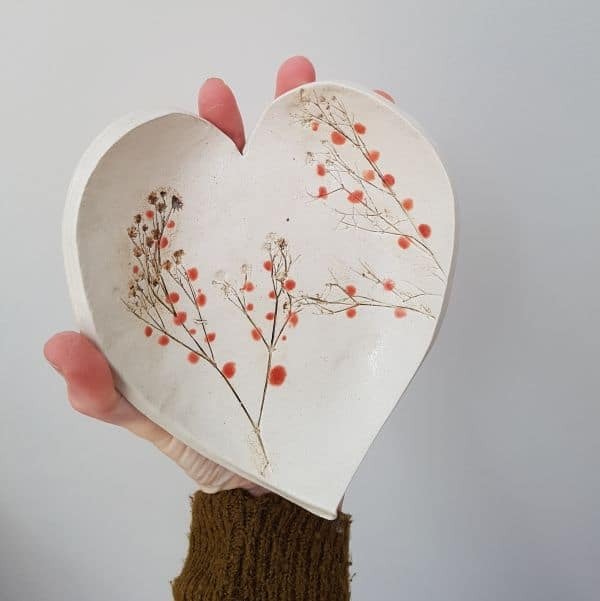 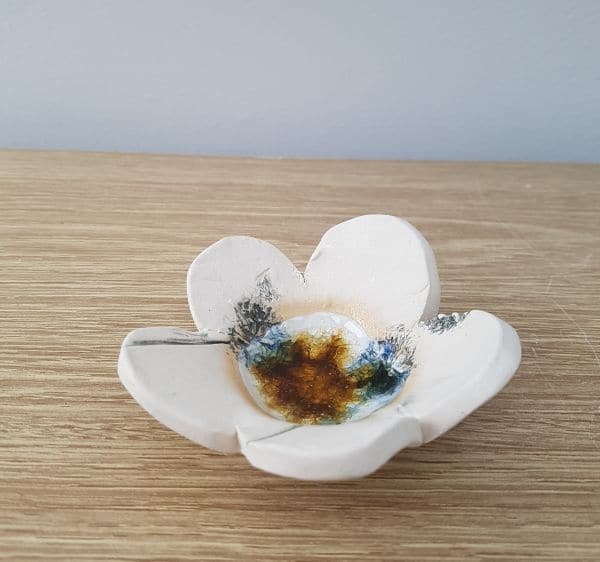 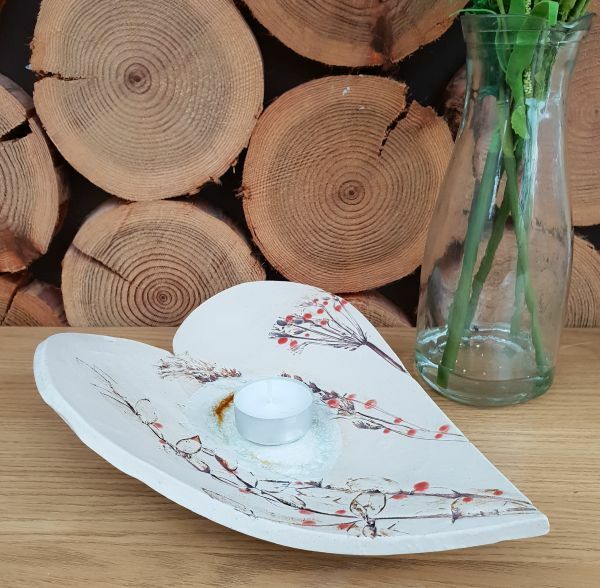 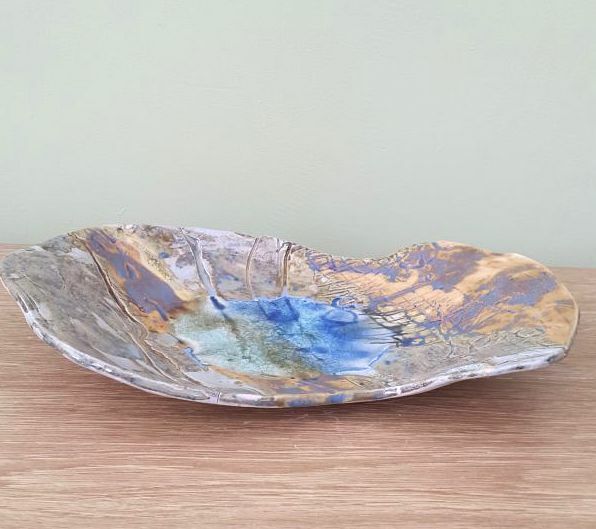 This handmade one-off ceramic dish measures approx 15cm diameter, and makes a gorgeous gift. 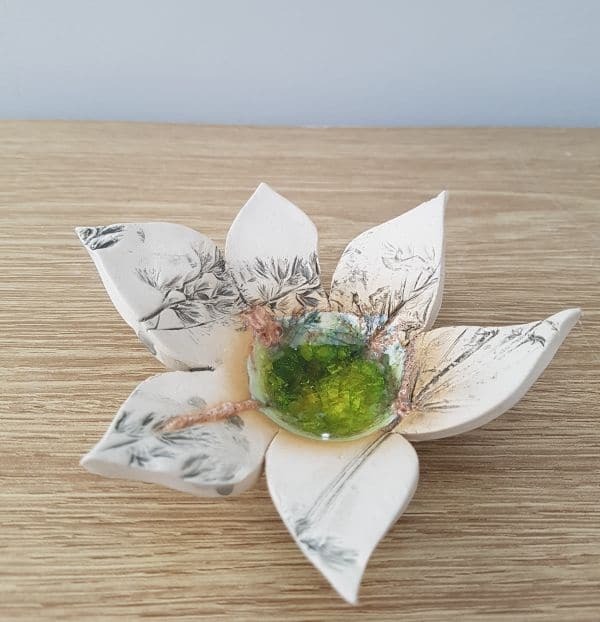 Perfect for holding trinkets such as jewellery, tea light candles, or admired on it’s own. 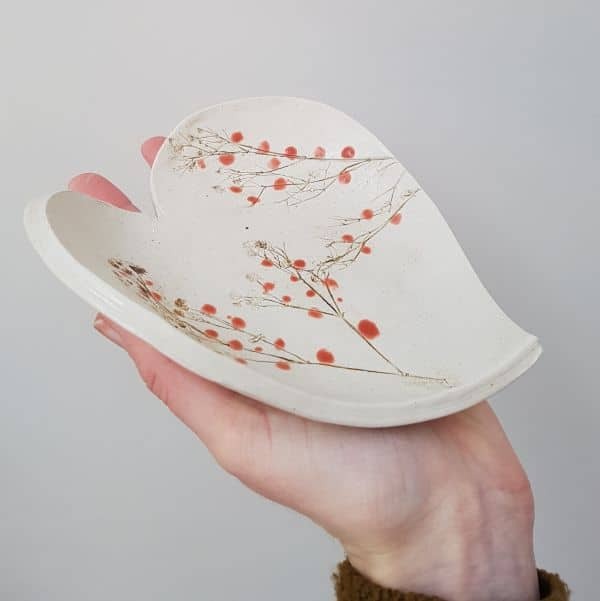 Real plant life and stems have been impressed into the surface of the clay, collected from local British hedgerows.